Are you prepared for your Florida family law or divorce hearing? 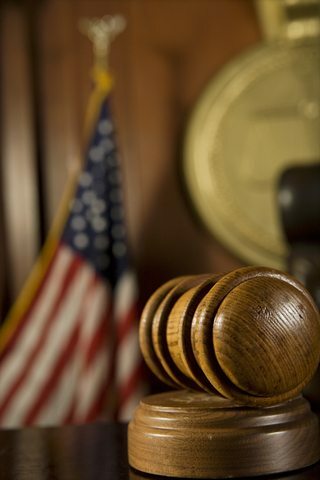 For many people participating in Florida family law and divorce cases, their court case may be their first experience with the court system. In my practice as a divorce attorney in Jacksonville, Florida, many people come to my office asking: how do I prepare for my Florida family law and.or divorce hearing? Because every case is different, and every judge is different, it is difficult to provide specific advice about how to prepare for a Florida family law hearing in a blog; however, there are a few general concepts to consider. Surprisingly many people will litigate family law cases without being able to articulate what they want. For example, if you are asking the court to award you alimony, you should be able to tell the court the amount of alimony you are requesting. Many times, I see an opposing party leaving it up to a judge or magistrate or present an arbitrary number that has no rational relationship to the facts of the case. When asking for alimony, be prepared to justify your alimony request with hard financial data, such as bank statements and pay stubs. If you are seeking majority time-sharing, it is wise to prepare a proposed time-sharing schedule to present to the court and prepare an explanation why your proposed time-sharing recommendation is in the child(ren)’s best interest. Often times, a parent will ask the court for a time-sharing arrangement with the parties’ child(ren) without being able to specify why the proposed arrangement is in the best interest of the children. It is essential to prepare to answer questions with your attorney or friend, but in most cases questions and answers are not enough. You will need to introduce evidence to support your position. The most common form of evidence that is presented to the Florida family law courts are the parties’ financial records. For example, you may want to introduce the opposing party’s pay stub if you are asking for alimony or child support. When you are planning on introducing evidence, which will be called an “exhibit” once it is introduced to the court, you need to make three copies of the proposed exhibit. One copy of the exhibit is your copy and the other two copies will be provided to the court and the opposing party. Coming prepared with proposed exhibits is extremely important. You would be surprised how many parties, and surprisingly their attorneys, miss this important piece of preparation. But, just having exhibits ready to go is often not enough. You also need a basic understating of the rules of evidence. For example, if you have school attendance records you want to introduce into evidence, it is important to understand how the business records exception to the rule against hearsay operates or you may not be able to introduce your school attendance records into evidence. In many cases, the party with an experienced Florida family law attorney has a huge advantage because they are able to get key evidence introduced in the case. Is Your Financial Affidavit Accurate? 3) A party misrepresents their financial position in an attempt to gain an advantage in their case. Whatever the reason, when a party’s financial affidavit contains significant inaccuracies that party opens him or herself to attacks on their credibility in a Florida family law hearing or trial. Good family law attorneys will cross reference mandatory disclosure documents to find inaccuracies in the opposing parties’ financial affidavit. Depending on the facts of the case, the extent of the inaccuracies in the financial affidavit, and the judge, presenting an inaccurate financial affidavit can having devastating effects on the outcome of the case.